Aluminium and its alloys are treated by a corrosion resistant conversion coating which is called “chromate coating” or “Chromating”. 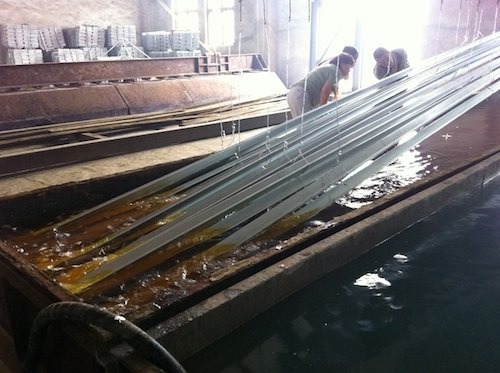 General method is to clean the aluminium surface with a suitable de-greaser such as HAMCLEAN-13SS and then apply Chromating Chemical on that clean surface. Chromium conversion coatings are highly corrosion resistant and provide excellent retention of subsequent coatings .Chromate Coatings not only provide high corrosion resistance but also confer outstanding paint adhesion properties to aluminum surface. It is well a known fact that visual desirability of aluminum may be enhanced by forming a chromate coating on aluminum surface with an aqueous conversion coating solution containing non-toxic chromium ions and other additives. Quality of surface treatment prior to powder coating is the most critical factor which effects the overall stability of paint on the metal substrate . Properly Pre-treated aluminium surface exhibits high corrosion resistance even if the surface is exposed to external impacts such as collision , high temperature and humidity etc. HAMBOND-A chemical is designed for the treatment of aluminum, its alloys or zinc metal surface by spray or immersion application. 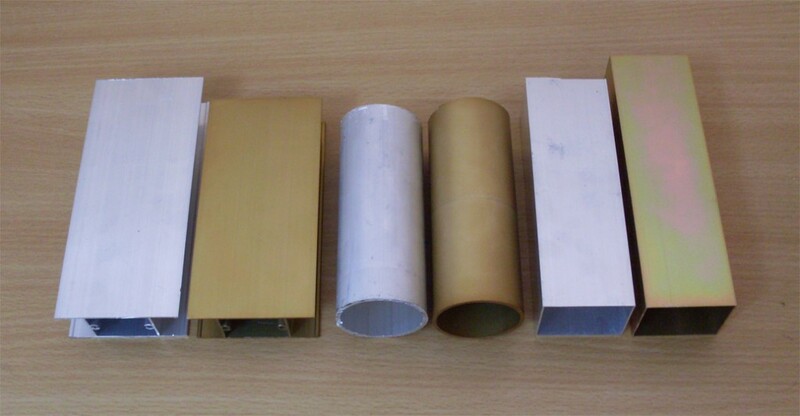 The treatment forms on the aluminum or zinc surface a thin amorphous oxide trivalent chromate coating iridescent to yellow –brown in color depending on the alloy and treatment time. This coating provides good corrosion resistance and excellent paint adhesion with the base metal and it also provide efficient corrosion resistance for unpainted surface.